11/16/16 Ford motor company (ford) is recalling certain model year 2013-2017 ford focus hatchback vehicles manufactured february 14, 2012, to august 26, 2016 and equipped with a manual transmission. the hatchback of the affected vehicles may be unlatched with a single press of the interior latch release button. as such, these vehicles fail to comply with the requirements of federal motor vehicle safety standard (fmvss) number 206, "door locks and door retention components." 11/22/13 Ford motor company (ford) is recalling certain model year 2012-2014 focus electric vehicles manufactured september 15, 2011, through august 23, 2013. in the affected vehicles, a powertrain control module software problem may result in a stall-like condition. Ford will notify owners, and dealers will reprogram the power control module, free of charge. the recall beganon november 22, 2013. ford's recall campaign number is 13s09. owners may contact ford motor company customer relationship center at 1-866-436-7332. 10/30/13 Ford motor company (ford) is recalling certain model year 2012-2013 focus electric vehicles and 2013 c-max vehicles equipped with the intelligent access push button start system. in the affected vehicles, there is no audible chime when the vehicle is operational and the driver's door is opened. thus, these vehicles fail to conform to federal motor vehicle safety standard (fmvss) no. 114, "theft protection and rollaway prevention." 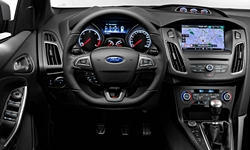 Ford will notify owners, and dealers will update the software for the door chime, free of charge. the recall began on october 30, 2013. owners may contact the ford customer relationship center at 1-866-436-7332. ford's recall number is 13c07. 05/21/12 Ford is recalling certain model year 2012 focus vehicles manufactured from august 1, 2010, through october 18, 2011. a seal in the wiring harness connector to the passenger side wiper motor may be missing. Water or other contaminants may accumulate in the connector, resulting in an intermittent or inoperative passenger side wiper motor, reducing visibility and increasing the risk of a crash. Ford will notify owners, and dealers will inspect and as necessary, clean and properly seal the passenger side wiper motor connector. any inoperative wiper motors will be replaced. this service will be provided free of charge. the safety recall began on may 21, 2012. owners may contact the ford motor company customer relationship center at 1-866-436-7332. Ford's safety recall campaign number is 12s29.owners may also contact the national highway traffic safety administration's vehicle safety hotline at 1-888-327-4236 (tty 1-800-424-9153), or go to http://www.safercar.gov . 11/20/07 Certain vehicles fail to conform to the requirements specified in federal motor vehicle safety standard no. 208, 'occupant crash protection.' the driver air bag module may not have been properly assembled. Ford recall no. 07c19.customers may also contact the national highway traffic safety administration's vehicle safety hotline at 1-888-327-4236 (tty 1-800-424-9153), or go to http://www.safercar.gov. 07/27/15 Engine Ford motor company (ford) is recalling certain model year 2015 ford escape vehicles manufactured april 1, 2014, to june 12, 2015, ford focus vehicles manufactured june 17, 2014, to june 12, 2015, and ford c-max vehicles manufactured april 22, 2014, to june 12, 2015. in the affected vehicles, the engine may continue to run after the key or the start/stop engine button is turned to off. as such, these vehicles fail to comply with the requirements of federal motor vehicle safety standard (fmvss) number 114, "theft protection and rollaway prevention." 09/15/14 Engine Ford motor company (ford) is recalling certain model year 2014 ford focus vehicles manufactured may 1, 2014, to may 24, 2014, 2014 ford escape vehicles manufactured on june 6, 2014, and 2015 lincoln mkc vehicles manufactured june 4, 2014, to july 7, 2014. in the affected vehicles, the fuel delivery module (fdm) may crack between the filter body and the filter cap, possibly resulting in low fuel pressure. 03/24/17 Transmission and Drivetrain Ford motor company (ford) is recalling certain model year 2015-2016 ford focus electric vehicles manufactured august 20, 2015, through april 13, 2016. the transmission's differential pinion gear shaft may overheat and fracture. 12/31/69 Transmission and Drivetrain Ford motor company (ford) is recalling certain 2013-2014 ford fusion vehicles equipped with a 1.6l gtdi engine and 6-speed manual transmission and 2015-2016 ford focus vehicles equipped with a 1.0l gtdi engine and 6-speed manual transmission. 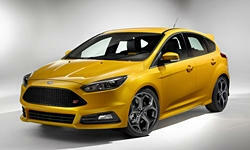 also included are four 2017 ford focus vehicles that had clutch replacements with potentially affected parts. the clutch may fracture, resulting in damage to the transmission assembly and possibly a transmission fluid leak. Ford will notify owners, and dealers will update the focus vehicles with software that detects and prevents prolonged clutch slip, and will replace the clutch, as necessary, free of charge. owners of fusion vehicles will have their clutch assembly replaced free of charge. parts are not currently available. owners will be notified of the recall with an interim notification beginning march 26, 2018. a second letter will be mailed when the remedy is available, currently expected to be in the second quarter of 2018. owners may contact ford customer service at 1-866-436-7332. ford's number for this recall is 18s07. 11/11/14 Suspension and Steering Ford motor company (ford) is recalling certain model year 2014 focus and c-max vehicles manufactured august 8, 2014, to august 15, 2014. the affected vehicles may have steering gears that were incorrectly assembled. Ford will notify owners, and dealers will replace the steering gears, free of charge. the recall began on november 11, 2014. owners may contact ford customer service at 1-800-392-3673. ford's number for this recall is 14s18. 01/07/16 Electrical and Air Conditioning Ford motor company (ford) is recalling certain model year 2013 escape vehicles manufactured january 11, 2012, to april 1, 2013, and 2013-2014 focus st vehicles manufactured may 03, 2012, to october 14, 2013. insufficient compression in the engine wiring harness splices to the manifold absolute pressure (map) sensor may provide incorrect signals to the powertrain control module (pcm). 10/06/14 Electrical and Air Conditioning Ford motor company (ford) is recalling certain model year 2013-2014 escape vehicles manufactured october 5, 2011, to april 1, 2013, and equipped with 2.0 liter engines and focus st vehicles manufactured february 14, 2012, to october 14, 2013, and equipped with 2.0 liter engines. insufficient compression in the engine wiring harness splices to the manifold absolute pressure (map) sensor may provide incorrect signals to the powertrain control module (pcm). 10/30/13 Electrical and Air Conditioning Ford motor company (ford) is recalling certain model year 2012-2013 focus electric vehicles and 2013 c-max vehicles equipped with the intelligent access push button start system. in the affected vehicles, there is no audible chime when the vehicle is operational and the driver's door is opened. thus, these vehicles fail to conform to federal motor vehicle safety standard (fmvss) no. 114, "theft protection and rollaway prevention." 08/16/13 Electrical and Air Conditioning Ford is recalling certain model year 2012-2013 focus bev vehicles equipped with high intensity discharge (hid) headlights, manufactured september 15, 2011, through may 6, 2013; and model year 2013 focus st vehicles equipped with high intensity discharge (hid) headlights, manufactured february 16, 2012, through may 7, 2013. due to a wiring incompatability, the front side marker lamps may not function. thus, these vehicles fail to comply to the requirements of federal motor vehicle safety standard (fmvss) no. 108, "lamps, reflective devices, and associated equipment." 04/25/02 Electrical and Air Conditioning On certain passenger vehicles built with manual transaxles, there is the potential for the speed control cable to hang up at the throttle body bracket during high, wide open throttle operation, preventing the throttle from returning to the closed position when the accelerator is released. Dealers will replace the throttle body and check for proper operation. owner notification began april 25, 2002. owners who take their vehicles to an authorized dealer on an agreed upon service date and do not receive the free remedy within a reasonable time should contact ford at 1-866-436-7332. 10/10/17 Other Ford motor company (ford) is recalling certain 2017 focus vehicles. the rear left side seat back frame may have an insufficient weld between the outboard pivot bracket and the pivot nut joint, resulting in the seat back having reduced strength. as such, these vehicles fail to comply with the requirements of federal motor vehicle safety standard (fmvss) number 207, "seating systems," and 210, "seat belt assembly anchorages." 03/08/17 Other Ford motor company (ford) is recalling certain 2016 focus and c-max vehicles. the floor pan may have improperly welded left-hand apron joints. 01/27/17 Other Ford motor company (ford) is recalling certain model year 2012-2015 ford focus, 2013-2015 ford escape and ford c-max, 2015 lincoln mkc and ford mustang, and 2014-2016 ford transit connect vehicles. a component within the door latches may break, preventing the doors from latching and/or leading the driver or a passenger to believe a door is securely closed when, in fact, it is not. 11/16/16 Other Ford motor company (ford) is recalling certain model year 2013-2017 ford focus hatchback vehicles manufactured february 14, 2012, to august 26, 2016 and equipped with a manual transmission. the hatchback of the affected vehicles may be unlatched with a single press of the interior latch release button. as such, these vehicles fail to comply with the requirements of federal motor vehicle safety standard (fmvss) number 206, "door locks and door retention components." 03/27/13 Other Ford is recalling certain model year 2013 focus and c-max vehicles built from november 16, 2012, through november 21, 2012; and model year 2013 escape vehicles manufactured from november 14, 2012, through november 21, 2012. the left rear door child lock was built incorrectly. as a result, the child lock may not engage when the operator uses normal force to activate the child lock. Ford's recall campaign number is 13s02.owners may also contact the national highway traffic safety administration vehicle safety hotline at 1-888-327-4236 (tty 1-800-424-9153), or go to www.safercar.gov. 03/09/05 Other Certain passenger vehicles with four or five doors and originally sold in or currently registered in connecticut, delaware, illinois, indiana, iowa, maine, maryland, massachusetts, michigan, minnesota, missouri, new hampshire, new jersey, new york, ohio, pennsylvania, rhode island, vermont, west virginia, wisconsin, and the district of columbia, a build-up of corrosion at the pawl pivot area of the rear door latch can cause a binding condition of the pawl that may affect proper engagement of the pawl into the catch. the occupant may experience difficulty opening or closing a rear door, and eventually the rear door may not latch properly. Ford recall no. 05s27.customers may also contact the national highway traffic safety administration's vehicle safety hotline at 1-888-327-4236 (tty 1-800-424-9153), or go to http://www.safercar.gov. 04/03/01 Other Pm certain sedans and wagons, the seat back recliner handle spring could have been damaged during an in-process test and the occupant may notice a chucking, or perceived looseness of the front seat back, or the seat back could unexpectedly recline.